Wow, it's the last day of July. This summer is just flying by. 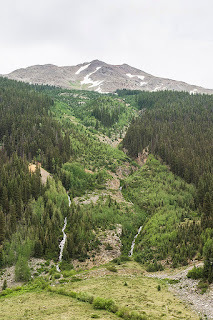 This is an image I took out in Silverton Colorado and I was surprised I got one without train in it but I think I was on the train when I shot this. 😁 This is the view to the south of town and in July there was still snow in the Mountains. 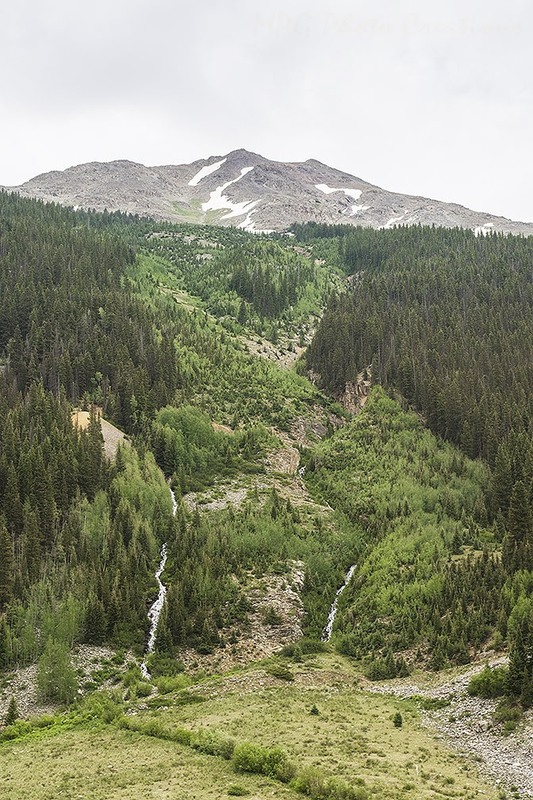 In the lower area you can see two waterfalls created by the snow melt runoff. 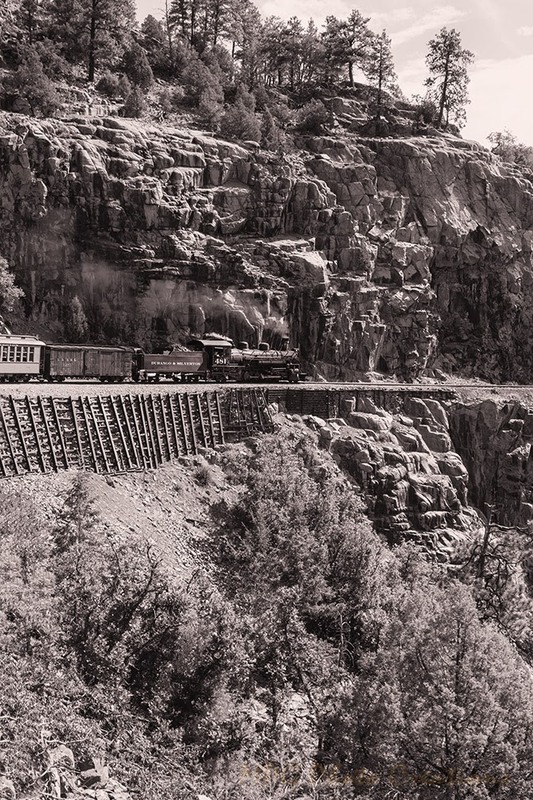 The Durango & Silverton Railway ride is really great for beautiful views such as this. 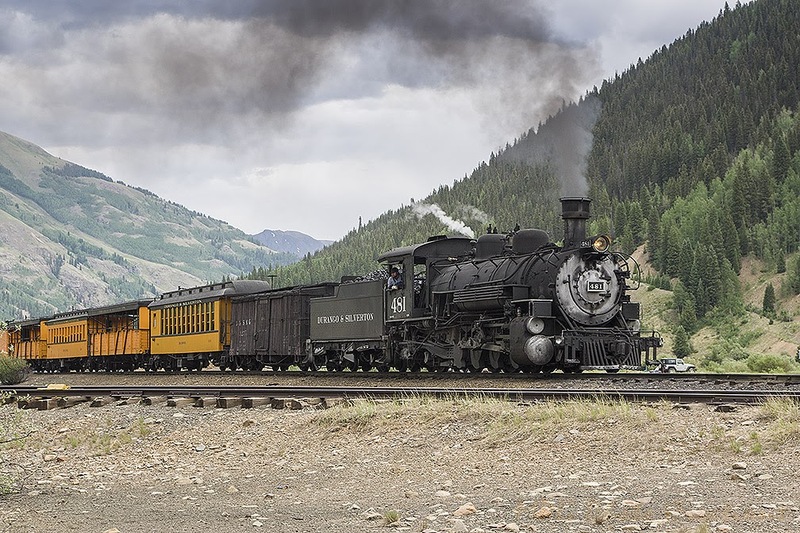 Today's image is of our train in Silverton Colorado. It had just turned on the Wye there which is a set of tracks large enough for the train to fit on in the shape of a Y pretty much but crossed at the top by the main line. It allows the train to back in and then pull out in the direction it wants to go in or vice versa. In short it allows the train to be headed in the direction it needs to be. We had 2 hours in Silverton and we spent part of it watching the 3 trains, including ours, come in and maneuver about and taking photos. 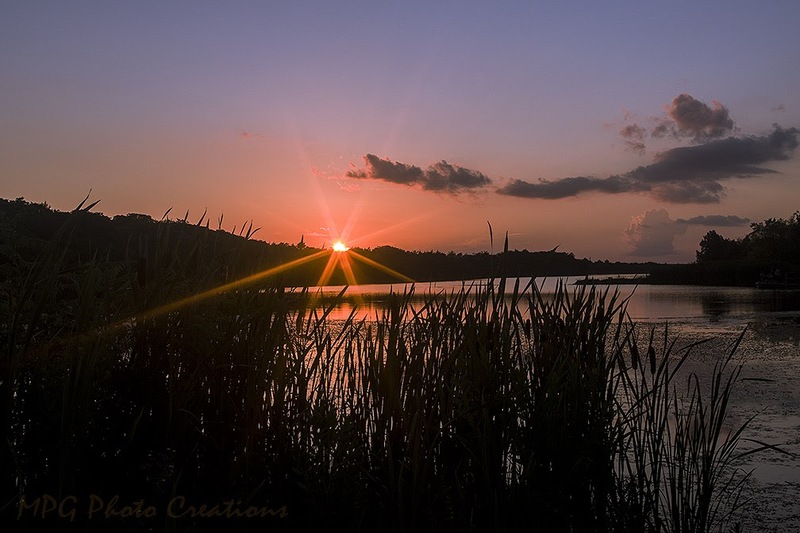 This is an image I captured a while back out at Milford Lake in the Milford town area. 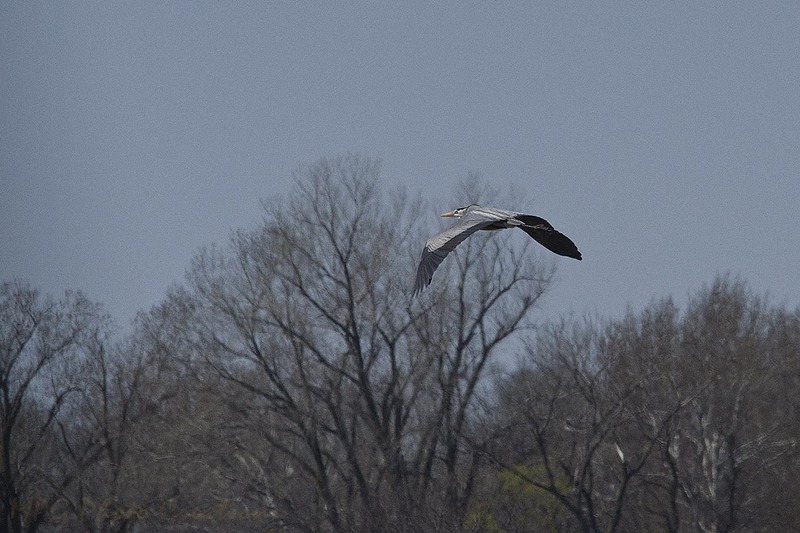 Herons are very camera shy it seems in Kansas. they are not good about posing, if I want to see one close up I have to travel, ours just fly away. 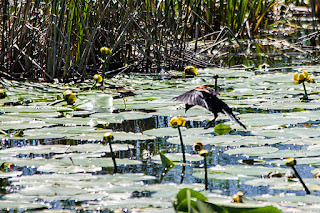 I love how their legs hang out behind as they fly, neat birds. Woohoo, we finally had a refreshing morning! Looks like cooler temps for a bit too, nice. My image today is another for National Moth Week. 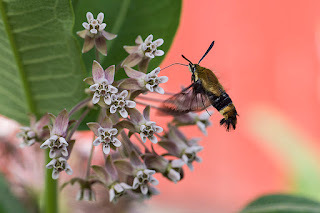 This is a Snowberry Clearwing that came to visit the Milkweed that I transplanted due to the road construction and was able to keep alive and it came back this year. 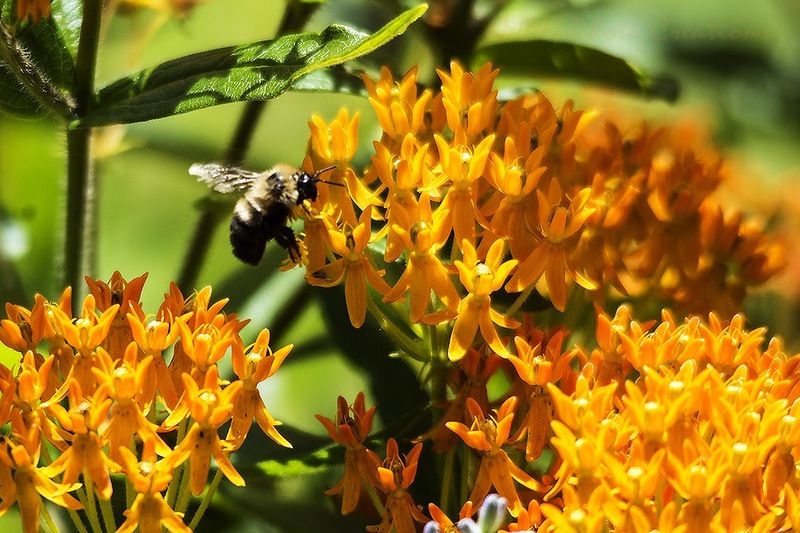 I did it for the Monarchs and so far they have not found but other creatures in nature have enjoyed them so still a win. This image is best viewed large by clicking on it so you can see all the hairs and such on the moth. Amazing what you can capture in a photo sometimes that you don't see with your eye. It's Animal week as well this week so my shots are either moths or animals if you were noticing. 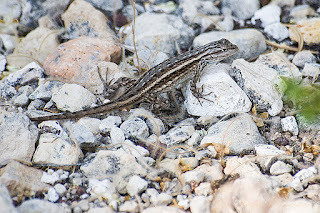 😉 This is another of Arizona's lizards that I captured during the walk on my last day at the Grand Canyon. 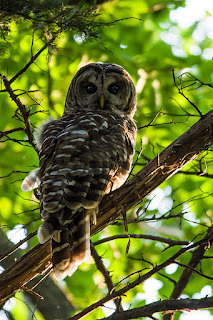 I spotted this one around some trees I was photographing. 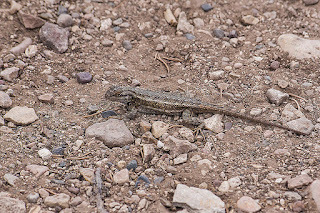 This is a Desert Spiny Lizard and must be one of the more common types seen because it's picture and ID was up in some of the buses showing things you could see in the park. It also was not fond of having it's photo taken but paused long enough for a couple shots as it made it's way towards some rocks. This week is National Moth Week and is supposedly a worldwide event for the appreciation of moths. I captured this image a while back and thought it might be a rare visitor to our area as I could not find it in my book. 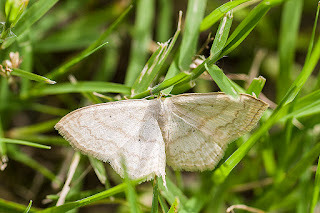 I submitted it to a moth site for ID and I was close on what I thought it might be but wrong on the version. As the second half of it's name implies, it's fairly common, Scopula Ordinata. Ah well, still an interesting and lovely one I think. 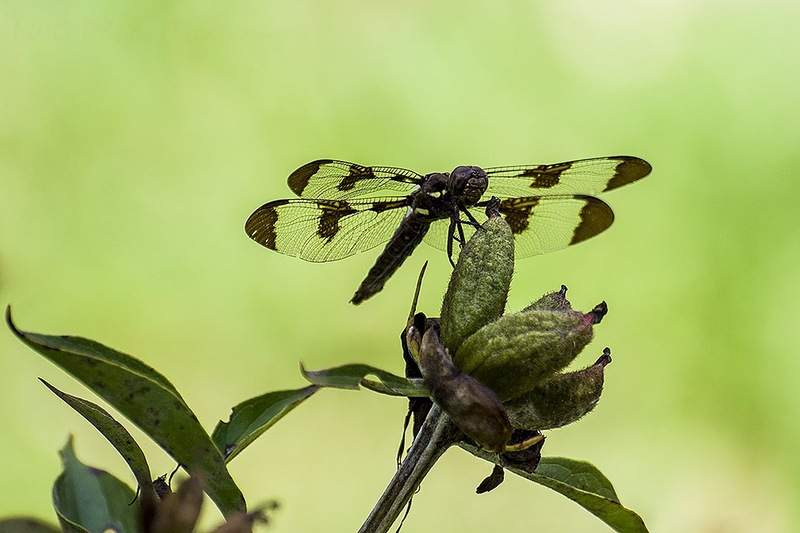 Butterflies and moths are very similar but you can usually spot the difference by their antennae. Butterflies have smooth, slender ones and moths will be feathery or comb like in appearance. While riding the Durango & Silverton Railway in southwestern Colorado we all saw and were entertained by this horse and rider. There was an area early in the ride where they came alongside and seemed to be racing the train for bit. It was obvious they do this fairly often as there was a well worn path where they were racing along. 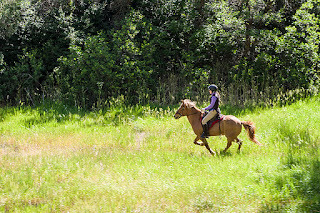 It was fun to watch for us on the train this beautiful horse race alongside. Today's photo is another one that is in the style of my favorite photographer, William Henry Jackson. I shot this image while riding the train so the direction of it is off but both shots were taken at the same place. 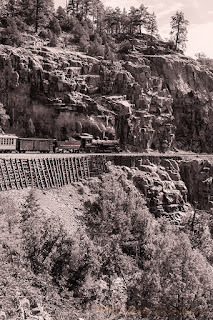 This is the Durango & Silverton Railway High Line. The train is only allowed to go 5 miles an hour along this area so it was a good place to get several shots. I always like to sit at the rear of the train for opportunities such as this. As you could see from my photo a few weeks back, we were quite high up, this only gives a sense of it as my camera did not take as wide an angle shot. In the reference photo that I shared below mine, you can see WHJ's Special train that he used to travel the line and he would have been off the train on the tracks taking this photo with the train stopped at the time. As always, you can click on each to see them larger. So hopefully our last boiling hot day for a bit. 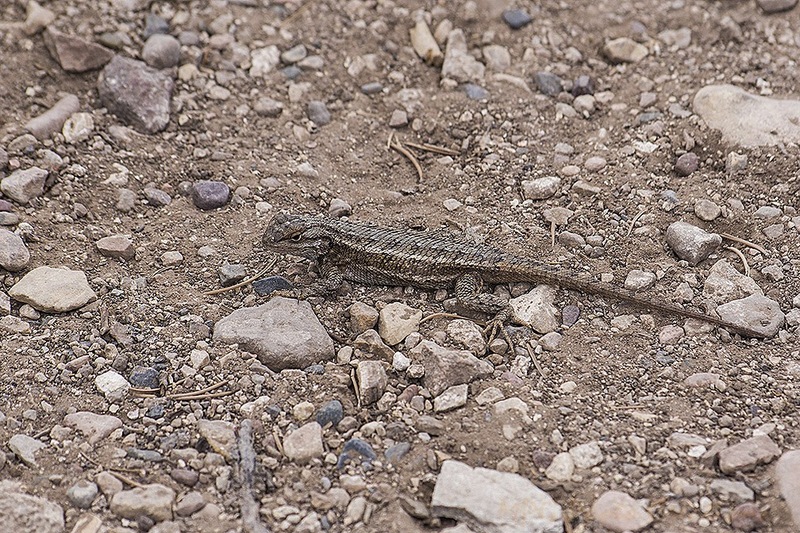 I captured this image of this Lizard out at the Grand Canyon on one of my hikes there. 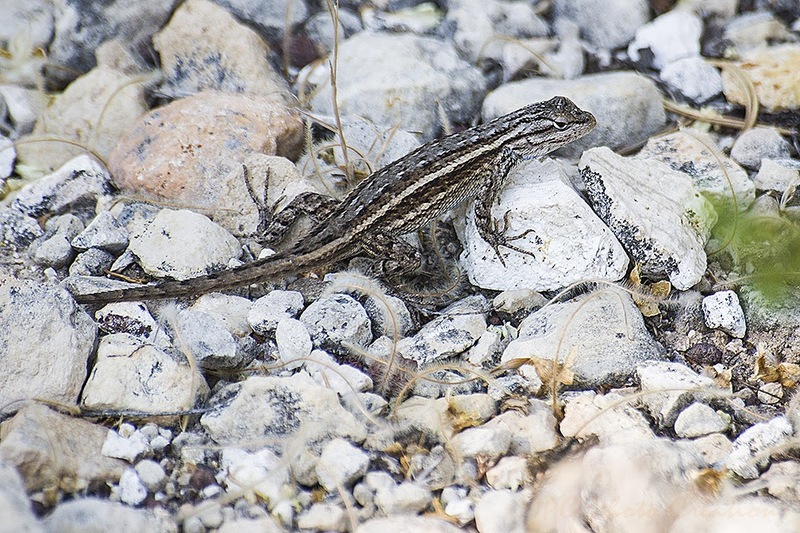 I believe this is a female Plateau Fence Lizard. She was not too fond of having a photo taken but I got lucky when she posed a couple of times long enough to get a few shots off. Boiling hot again today, hate to even go outside much. I got this image about a week ago of a young Twelve Spot Dragonfly that was sitting on the Hibiscus trees I have in the yard. I loved the creamy leaf bokeh behind it. 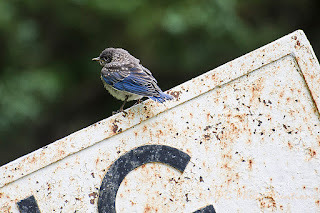 I learned something about Twelve Spots because I never knew they started out with a golden color and then turned blue-white with age and developed the more spot looking wing. Hot, hot, hot. Ugh. I hate it when I long for a 90 degree day as a cool one which is supposedly coming this Sunday. Anyway, my image for today is of a flower I can't seem to get to grow but my neighbor can. 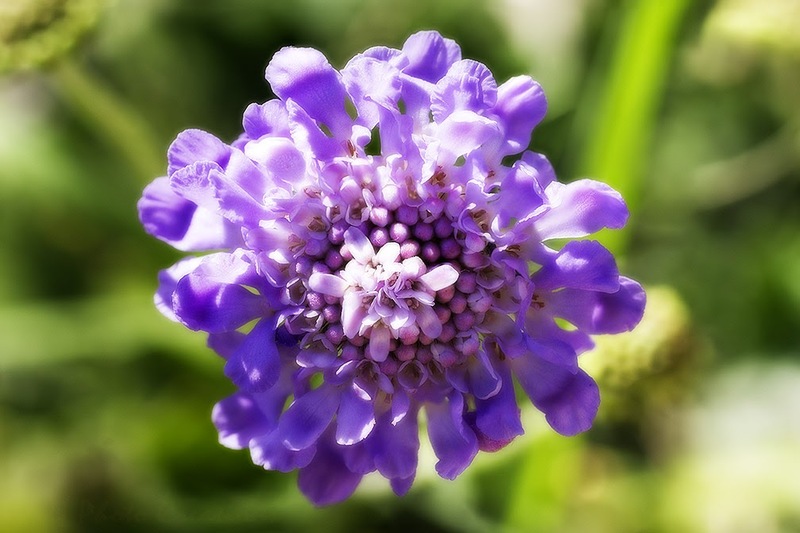 This is a Pincushion flower and it is 3 images focus stacked together to bring out all the detail in the flower. I then put a bit of a glow on it. I haven't shared a butterfly for a while so here you go. 😁 This is a shot I got a while ago on a trip to Denver and a Butterfly house just north of the city. 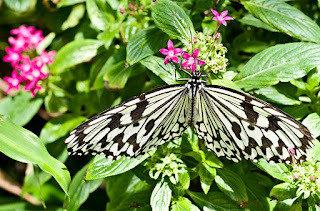 This is one of my favorite tropical butterflies, a Paper Kite, perched on some Penta flowers I think. Paper Kites are fairly large butterflies and quite beautiful and dainty even though larger. 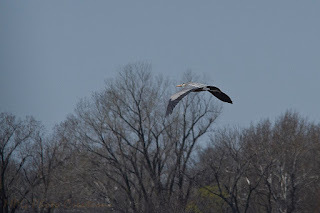 Their wingspan is a good 4 inches or even more across. I've seen one that was at least 6 inches across. Could be this one. LOL It's been a while. When I was riding the Durango & Silverton Railway, our train made a few stops for water and also to let some people off her were going hiking or kayaking. Their equipment was stored in the old boxcar behind the locomotive. On one of the stops there were some cute Chipmunks running around. I am sure they were looking for a handout from the passengers. 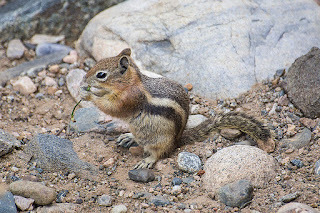 This one happens to be eating on a piece of plant it found. Interesting date today, a lot of sevens. Will it be a lucky day? :-) My image today I got a couple of weeks ago over at a friend's house. She is very lucky to see these guys quite often as they nest in the woods near her home and visit her yard to hunt and drink from her bird bath. I was lucky to see them one night while I was over there and this is one of the images I got that I was pretty happy with. 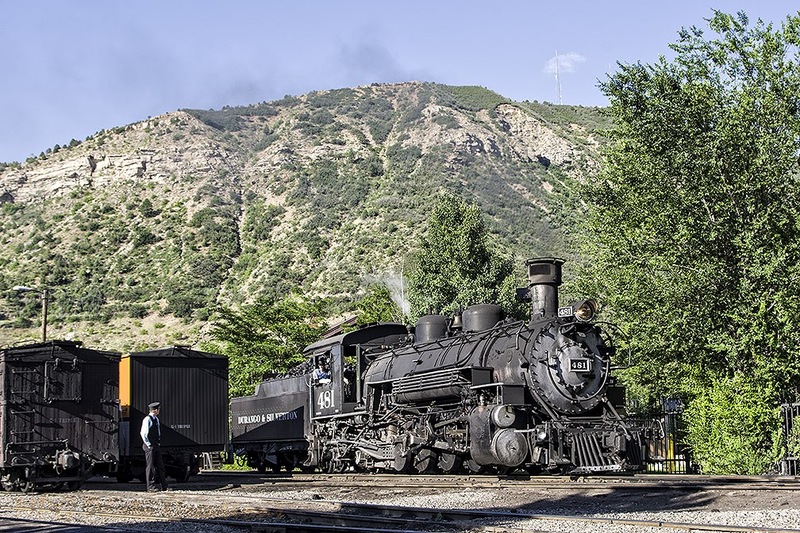 On Sunday, July 2, I spent the day doing something steam related and rode the Durango & Silverton Railway in southwestern Colorado. 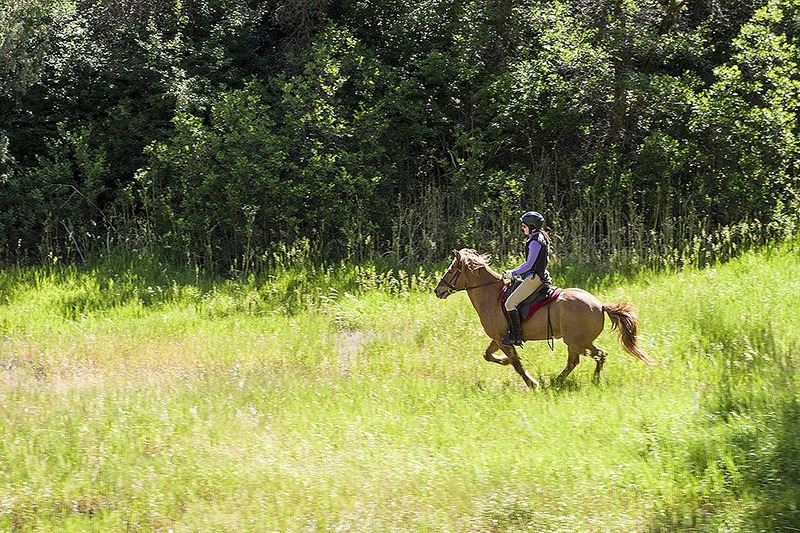 It's a great ride through some fantastic scenery and one I definitely recommend. I was able to get a lot of different shots in different locations so most of the year will be focused on this railroad. :-) Today's image is of our locomotive heading out to hook up to our train that morning to pull us to Silverton and back from Durango. I hadn't gone out to shoot a sunset for a while. I had some time last night and with the clouds in the sky I felt I had a shot at getting a decent one and I was not disappointed. 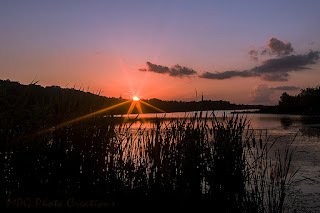 This is the sunset over Geary State Lake, south of Junction City, last night. Today's image is an older one that I tried to be a bit artistic with. It's a photo of a Rhododendron that I tried to make look like an oil painting. It's best viewed large to see the brush strokes. 😉 Even without the effect I liked the lighting on this. 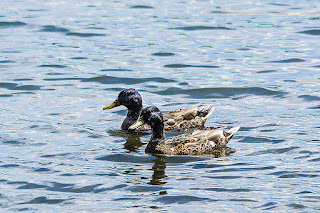 Since we all need to feel cooler in this heat, how about a shot of a duck couple in the lake at Alexandria Minnesota. 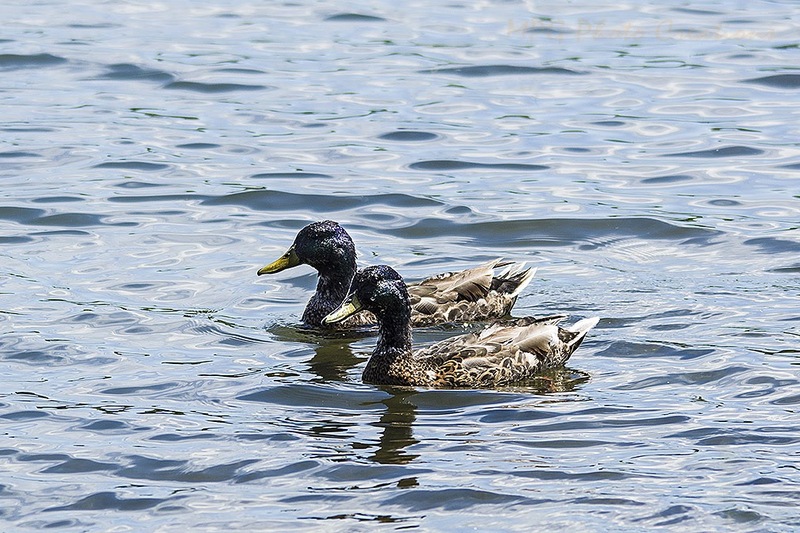 This is a Blue Winged Teal pair that I captured while up there in mid-June. 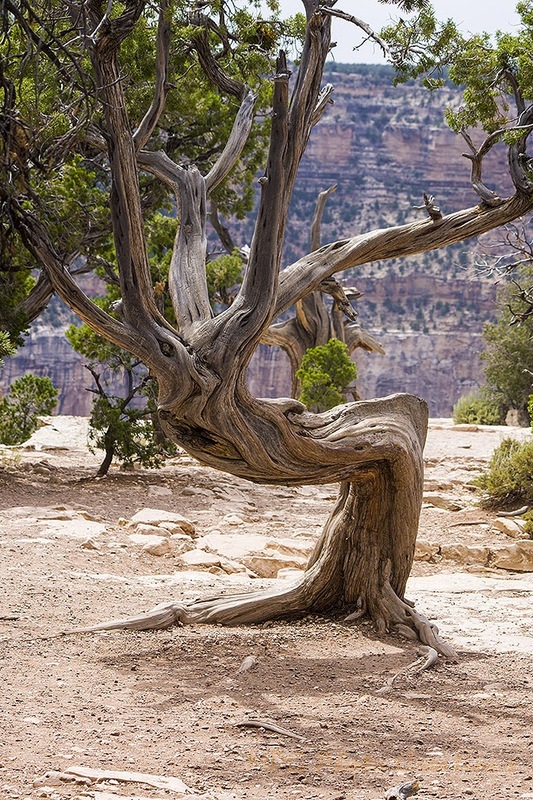 This is a cool tree I have seen on both of my trips to the Grand Canyon. At first it was the bend in the tree that really caught my eye but when photographing it from this side it also appears to have a face in it. I thought it made for a quite interesting subject with the Canyon as a backdrop. 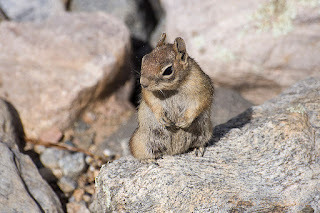 We went to the North Rim of the Grand Canyon on this trip for a day as well. While there on a hike I saw this bird originally on the trail but then it flew up into the tree and I was able to get a good shot of it. I'm not sure what it is and am hoping someone will help ID it. 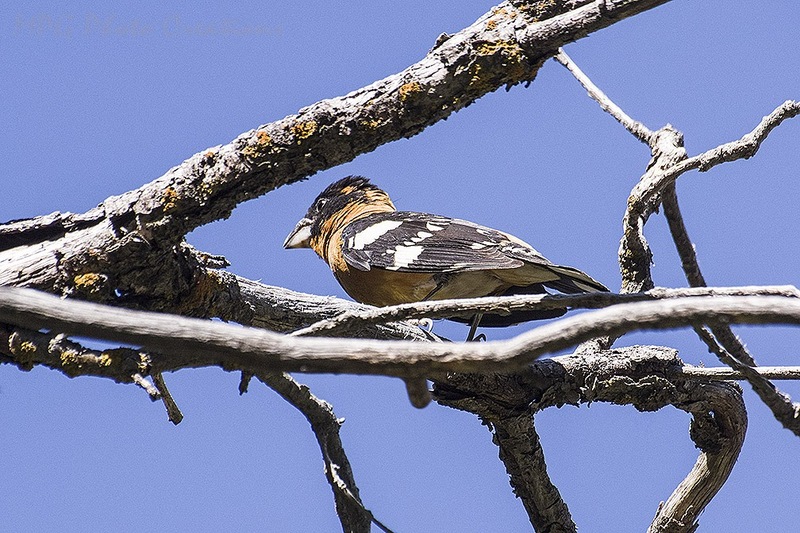 I think it is a type of Grosbeak, in Googling it appears to be a Black Headed Grosbeak. I liked the coloring on it. 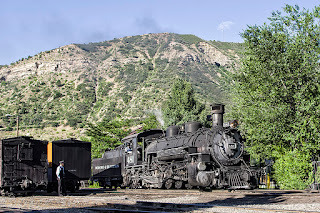 Last Saturday and Sunday I was in Durango Colorado to photograph and ride the Durango & Silverton Railroad. 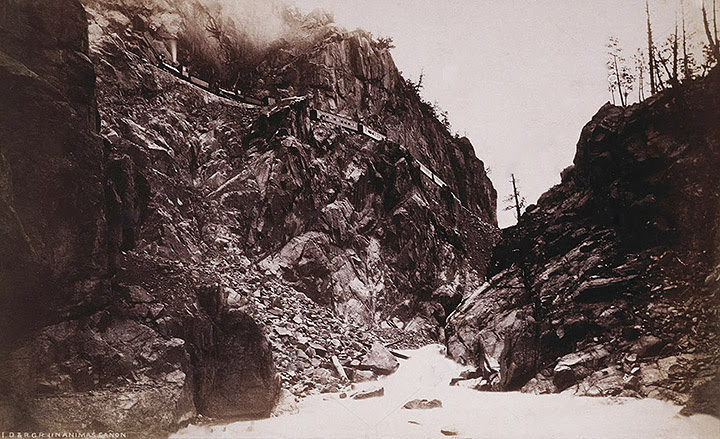 Those who follow my Blog will know that an influence on my photography comes from William Henry Jackson, who is most famous for being the one to photograph Yellowstone to help make it a National Park. 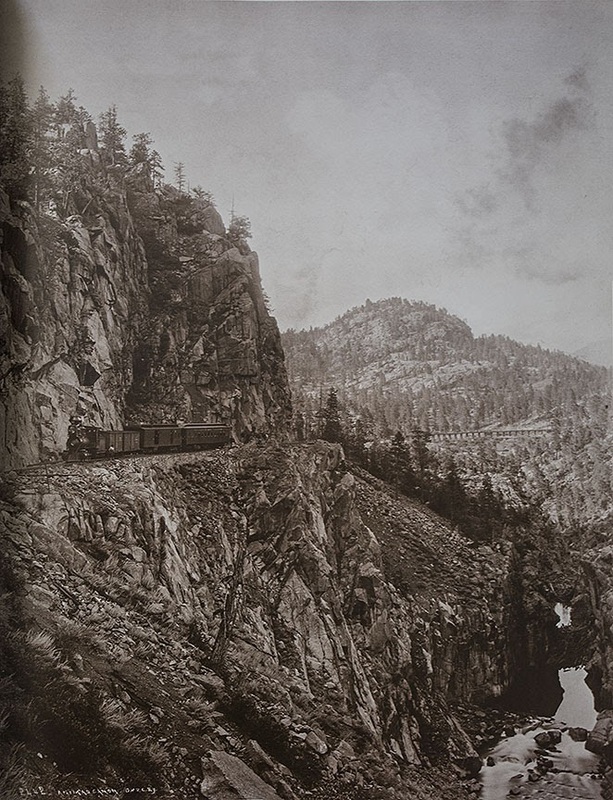 He also did a lot of Colorado railroad photography. 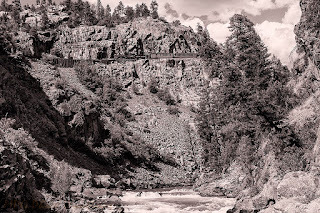 He has a rather well known image for those that follow his railroad work of the D&S on the High Line in the Animas River Canyon. I attempted to re-create that shot on this trip. 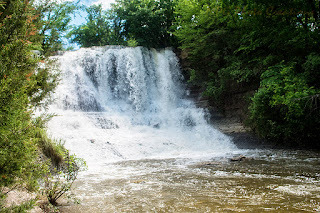 I am not in the same exact place as that has been washed away I believe but I got fairly close. I put a tone on it to make it even more similar. I am also posting his image below mine for easy reference for those not familiar with the image. It's a copy out of a book I have of his photography. So this past week I was away on vacation to Colorado and Arizona. This view is actually taken from Utah, another state I was able to tic off as having been in. A lot of movies have been filmed in this area and I could see why. It was fairly desolate and beautiful. The rock formations make it very iconic looking. This is a 3 shot panorama. I used a polarizer filter as well and was glad I had it along as the sky on the whole trip was rather hazy, most likely due to the fires in southern Arizona. This image is best viewed large by clicking on it. This is an image I was able to get a while back of a Bumble Bee enjoy the Butterfly Milkweed. 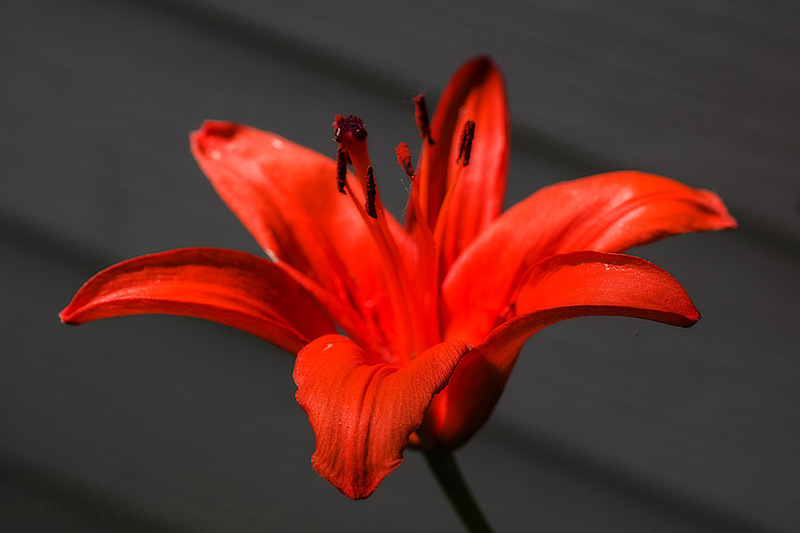 It was just about to land on this bloom when I captured it. I captured this image in Minnesota a couple of weeks ago now. I had never seen this behavior for a Redwing Blackbird. 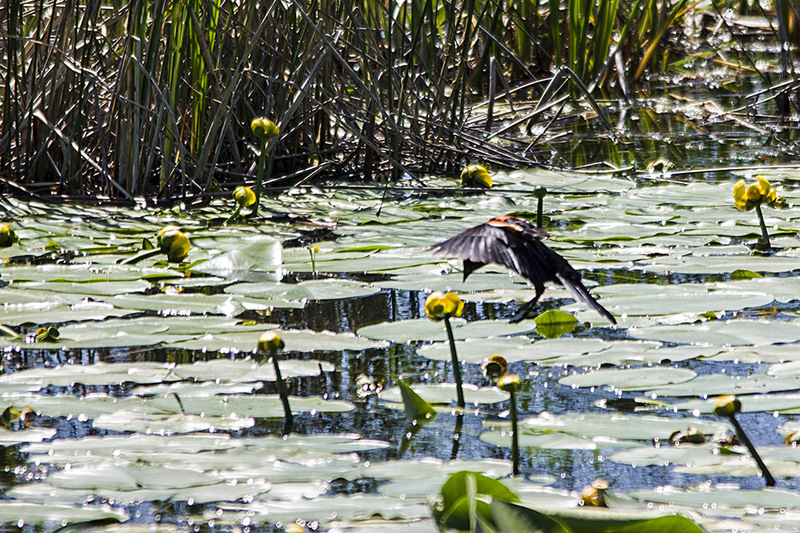 It was hoping around on Lily pads and sticking it's beak into the flowers. I'm not sure of it was trying to eat the flowers or if there were insects inside it was trying to eat or what. It was rather interesting to watch though. Happy 4th of July to the US and good day to everyone else! 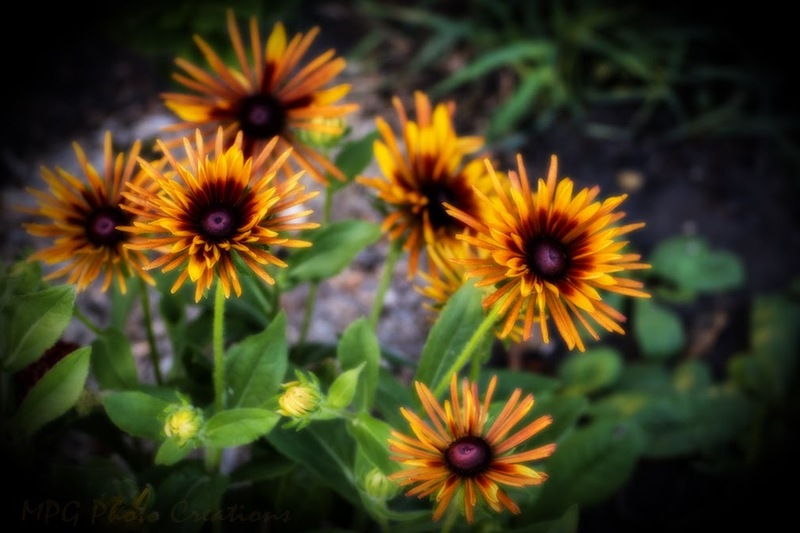 Here are some Black Eyed Susans from my garden creating some natural fireworks. 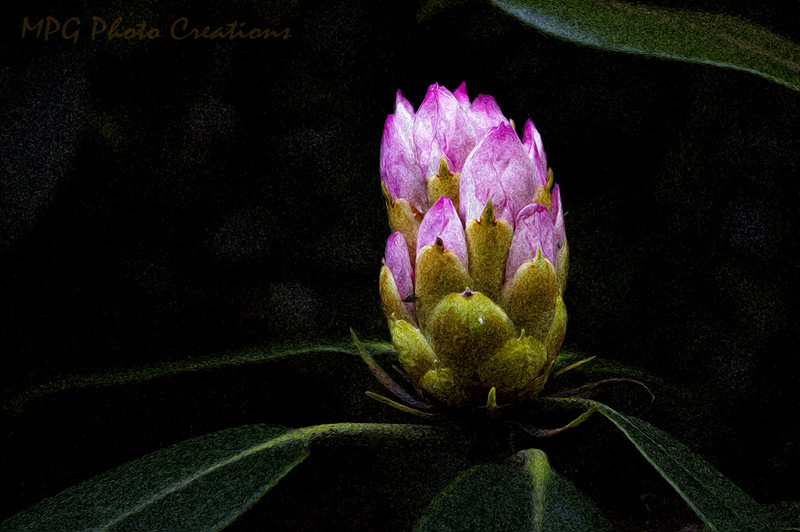 This is an image I capture recently. I'm not sure if it was some kind of standoff or coincidence. 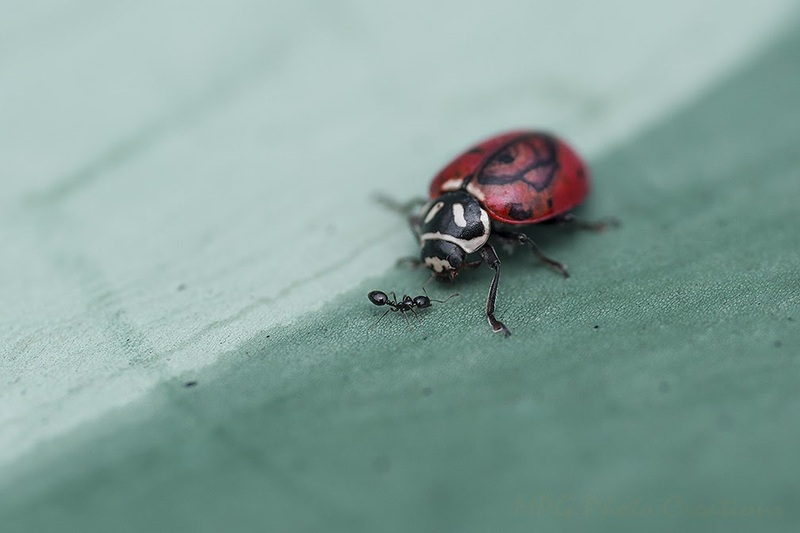 Not sure if Ladybugs eat ants or maybe vice versa. 😊 Anyway, I thought it made for an interesting subject to photograph. I captured this on the leaf of a milkweed and the shadows gave it that blue-ish cast. This is an image from Memorial Day weekend when I was over running Live Steam G Scale engines with some friends. 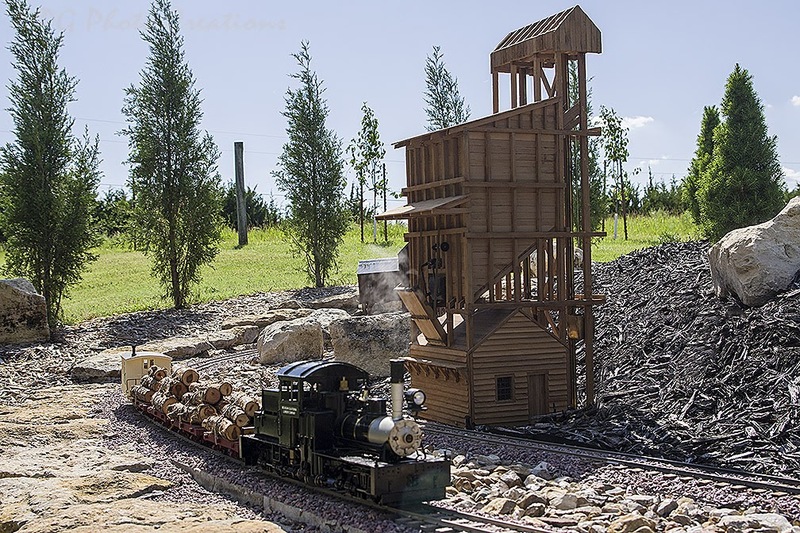 The building it is going past is a Coaling Tower modeled on one similar to the one at Chama that belongs to the Cumbres & Toltec. He did a beautiful job on it. 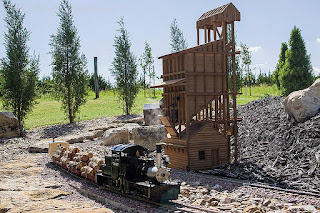 If you would like to see this scale model in a video with another live steam locomotive, I posted a short video on You Tube here. Posting quite late today as I was out all day. It's already July. Since we have had a bit of rain lately it reminded me of Spring when the waterfall was flowing at the Geary State Fishing Lake. This is a regular exposure shot and not my usual long one. Still looks quite nice I thought.